You don't have to splash out to experience the Kerala backwaters. We also offer traditional standard houseboats for your private charter. They range from one bedroom boats for two people through to monster boats that sleep up to 10 in ensuite cabins. All boats are private (ie you don't share with another party) and offer overnight AC as well as all meals and soft drinks aboard the boat during your cruise. Our standard departure point is near Alappuzha (Alleppey) but we can collect you from a hotel or Kumarakom if necessary. Departure time is around midday (12-12:30) and we can start later for those travelling from further afield. The houseboats all follow a similar layout with ensuite cabins that combine double bed with adjoining shower/WC. There is a day cabin in the bows with day bed and dining area. Some of the boats have upper galleries which provide a larger and private way to see the world around you as you cruise. 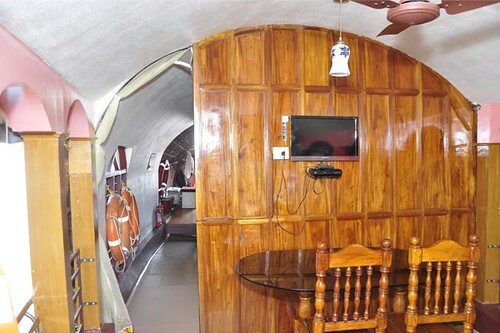 2 Cabin Standard quality houseboat based near Alappuzha offering 1 to two night cruises. 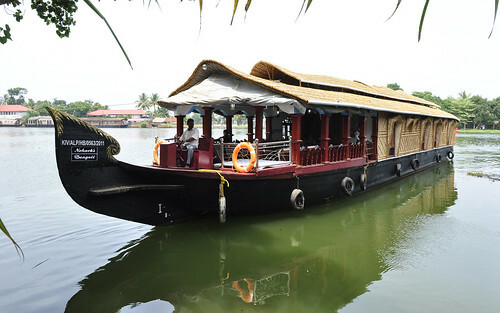 Kerala Houseboat cruise in 4 cabin boat with ensuite and AC. 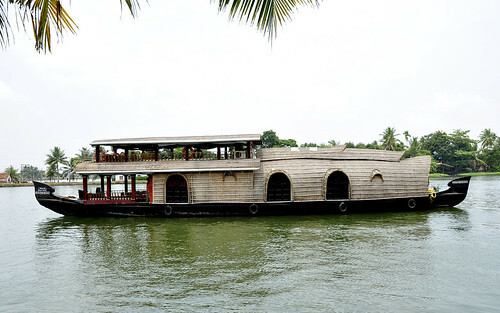 Includes all meals and cruise of the Alappuzha backwaters. Sleeps 8 in comfort.